Earthworms have both morphological and physiological characteristics that are similar to an annelid. Earthworms have a cylindrical-shaped, segmented body. They have no appendages. Moreover, they have no obvious head or antennae. Earthworms live in terrestrial habitats. They feed on organic matter and primary detritus and have a complete digestive system. They also have a closed circulatory system. Earthworms are hermaphrodites, having both male and female reproductive systems within the same individual. Earthworm is an invertebrate animal that belongs to one of the two terrestrial classes of annelids. 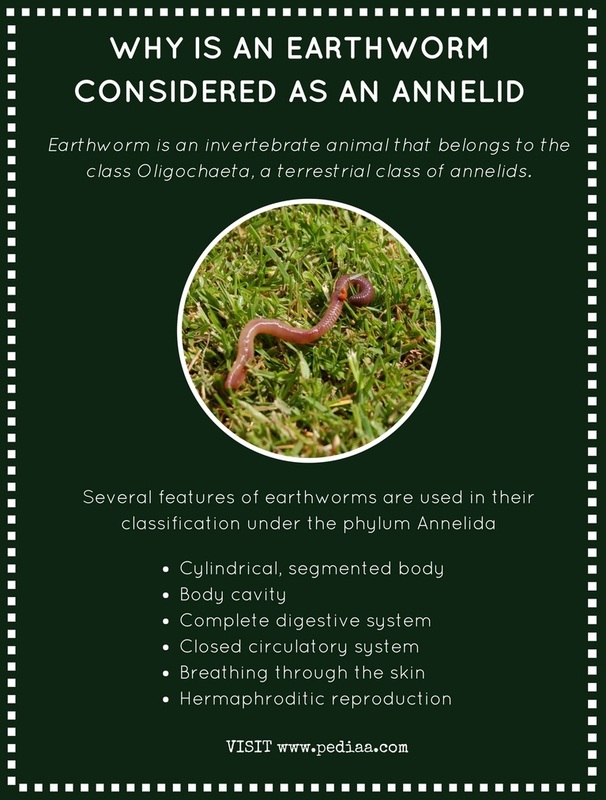 Earthworms are classified under the class Oligochaeta. They are the main contributors to enriching and improving soil for plants. They create tunnels in the soil by burrowing, aerating the soil. This allows air, water and nutrients to reach deep into the soil. They eat the soil with decaying organic matter. The waste of earthworms is called casting, and it contains many nutrients that can be readily used by plants. Therefore, some people use earthworm castings as a garden fertilizer. Several features of earthworms are used in the classification of them under the phylum Annelida. They are discussed below. Segmented body – The segmented or ringed body is the key feature of the annelids. The body of earthworms is made up of many similar segments. Each segment consists of muscles and bristles called setae. Setae help in the movement of the body through the soil. The contraction and relaxation of the segments help in the forward movement of the body. Body cavity – Body cavity or the coelom is another characteristic feature of annelids. Earthworms also contain a coelom. Digestive system – Earthworms have a complete digestive system. The components of the digestive system are pharynx, esophagus, crop, intestine, and gizzard. The complete grinding of food is achieved inside the gizzard. Circulatory system – Earthworms have a closed circulatory system in which the blood flows exclusively through the blood vessels. The three types of blood vessels found in an earthworm are aortic arches, which serve as the heart, dorsal blood vessels, and ventral blood vessels. Respiratory system – Earthworms lack lungs, and they breathe through their skin. Respiratory gases diffuse through the skin. Reproduction – Earthworms are hermaphrodites. Clitellum contains the eggs while spermatheca contains mature sperms. Earthworms require mating for reproduction. 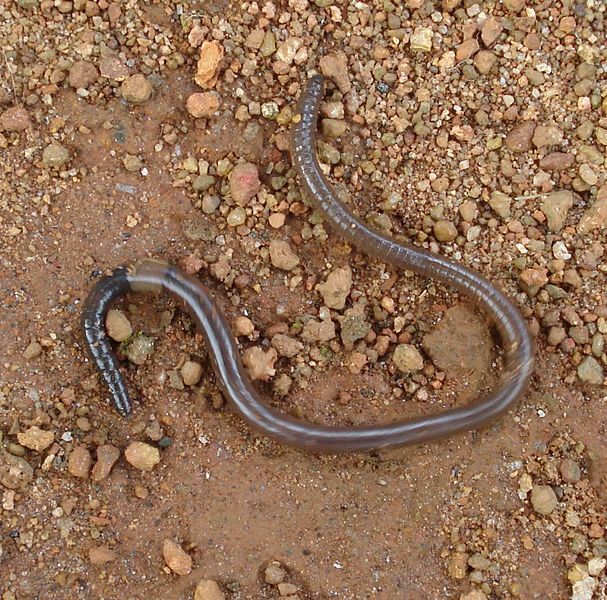 Earthworms belong to a class of terrestrial annelids. Hence, earthworms share the characteristics of a typical annelid such as rounded body with segments, presence of a body cavity, complete digestive system, closed circulatory system, and hermaphroditic reproduction. 1. Earthworms, Pen Arts & Sciences. Universtiy of Pennsylvania, Available here.